Candy's Pittsburgh and Channel IRC #Pittsburgh Page! Hiya! it time for me to change this webpage it been up since i start the net so here goes so if you dont see the site up is cause I am remoding it now so come back latter on to see if it up and new things added too . 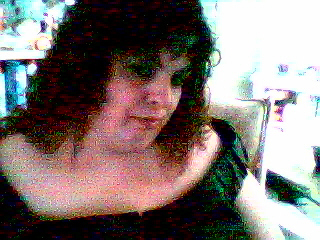 I am from Pittsburgh i am now 42 year old married with two grown girls now I been married over 20 years . Over the years i have meets lots of cool people from Pittsburgh we use to have IRC PARTYS around my area so ya know I am from Pittsburgh I enjoy wrestling and Football special I am steelers and Dallas fan LETS GO STEEELERS!!!! lets hope they go back to superbowl this year I have no new pictures yet to update this picture but when i do i will put it up so lets start long time ago I use to irc on #pittsburgh channel i dont think it there anymore if you ever want to get on irc that where i am uselly at but ya need this program Mirc.second you need to go under the undernet Here the Undernet List and third join are channel /join #Pittsburgh sometime we are still down on the undernet service it depends I think lots of people left anyway I mostely now on Delphi Forums Or you can find me on them program on My Space or Tagworld or Even My Yearbook Even now I got Pittsburgh blog Pittsburgh Steelers and Pittsburgh Area and even my own forums at anybody can join and even open a forum up at The Candylandstore Forum's and even my own christmas webpage at Santa Claus North Pole Web Page! Candy's Family Photo Gallery ! City of Pittsburgh Home Page! My Slam Book with Questions? This Site is Powered by the ICQ Respond-Online Panel © 1999 ICQ Inc. All Rights Reserved. Jerri Lynn Bauman, Maintainer of this Page. days 'til the year 2007.